This is my wonderful husband wearing our son when he was about 18 months. Visiting my Mom in Florida, this photo was taken in St Augustine. We flew across country with our toddler and only brought this Ergo and a woven wrap. 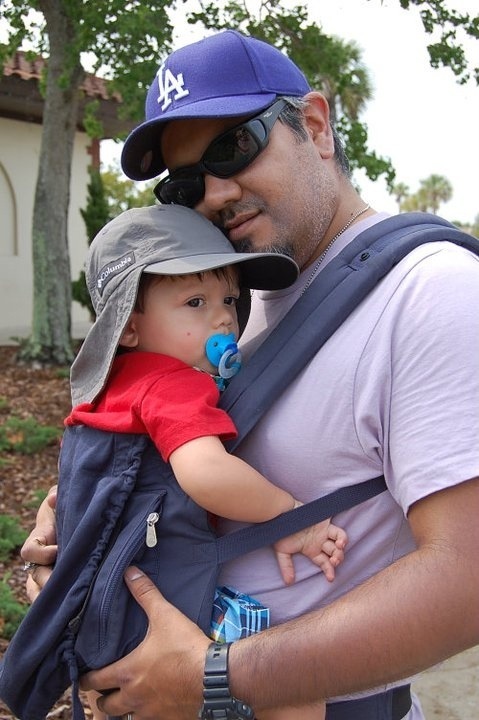 They both came in super handy for when he got tired, but it was so great to not have to lug a stroller around! We did a lot of walking and exploring. Our little man was becoming a pretty confident walker, but tired easily and it could get a bit overwhelming in crowds. Babywearing allows us to share the world with him while still giving him the security to curl up against Daddy and sleep when he needs to (which he did shortly after this picture was taken).